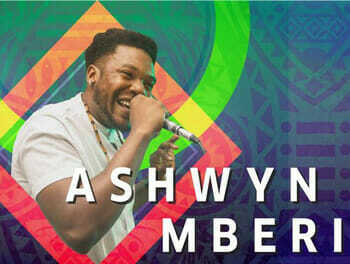 The first edition of Night Under the Stars, will see Ashwyn Mberi, perform his new collection of music and poetry as well some of the audiences favourite acts on 1 February from 19:00 at the Goethe-Institut Namibia. Damage at the door will be N$20. Mberi and a band will explore themes of love, inequality and mental health, from the perspective of a black youth, through the fresh and ever green productions that complement his dynamic voice. “I hope to through my poetry and music present my experience of the themes and connect with my audience in the local arts scene of Namibia,” Mberi said. According to the artist in the past he focused on establishing platforms for a diverse set of upcoming artists to express themselves and decided to focus this year on going solo. “I am very proud of how the local arts scene is growing and speaking the truth to empower the youth on a journey of healing and love,” he added. Mberi is known for establishing initiatives such as ‘The Gathering’ and the ‘Lyricist’s Lounge’ and now he will be delivering a solo show that will zone in on his voice as a muti-faceted toll for articulating the black African youths’ experience with love, inequality, mental health and the pursuit of happiness.